This versatile 25.0 cu. 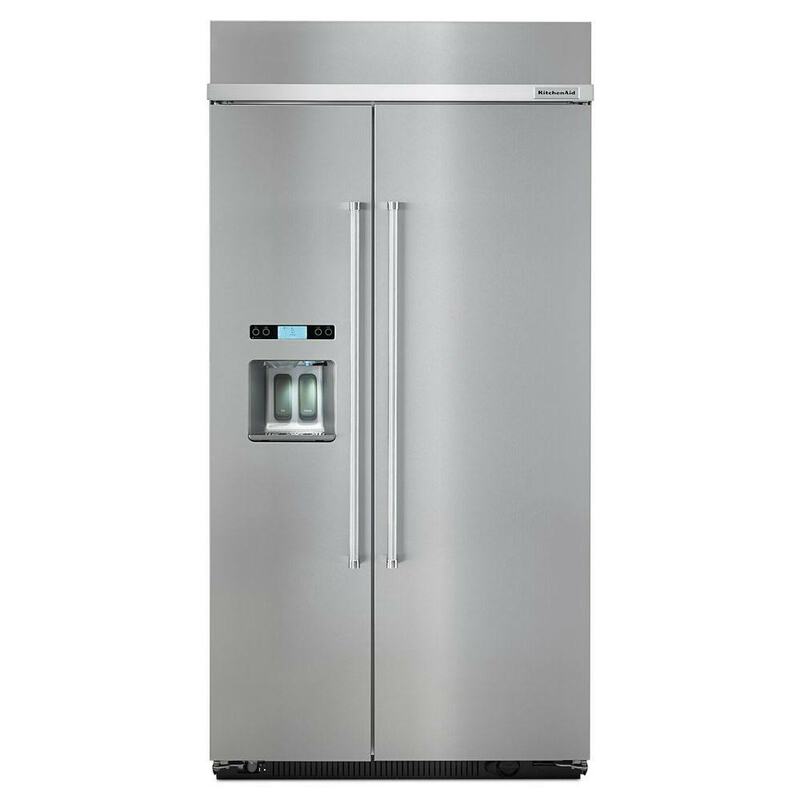 ft. KitchenAid built-in refrigerator KBSD602ESS features the ExtendFresh™ Plus temperature management system, which maintains the perfect temperature for fresh food storage. The FreshFlow™ Produce Preserver extends freshness by neutralizing the over-ripening effects of ethylene emitted by certain fruits and vegetables. The in-door water dispenser has a Measured Fill option that displays and automatically dispenses water in ounces, cups or liters. It also features PrintShield™, a fingerprint resistant finish that protects against smudges and enhances the look of the refrigerator. Plus, this refrigerator is ENERGY STAR qualified to help you save money on utility bills, use less energy and help preserve our natural resources.